Got neck pain, shoulder pain or upper back pain? 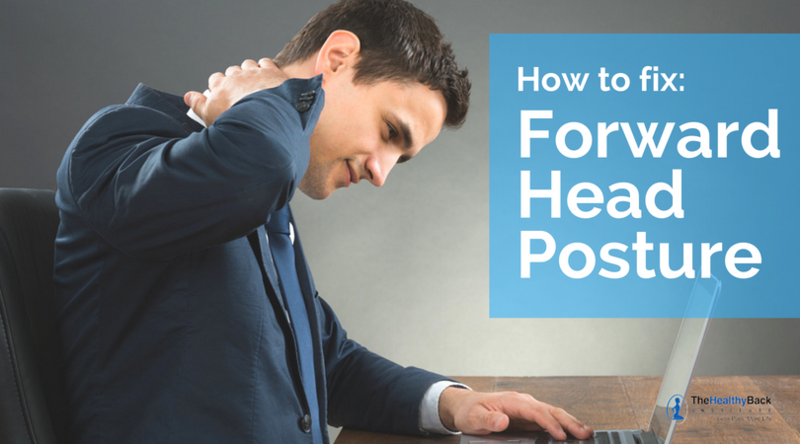 There’s a good chance you could be suffering from Forward Head Posture. Now take a look at this list. Do you have any of these symptoms? Believe it or not, this long list of ailments can be attributed to poor posture, particularly poor neck posture. As I mentioned above, it’s a condition we call Forward Head Posture, or FHP, for short. If left untreated, it can lead to years of chronic pain. 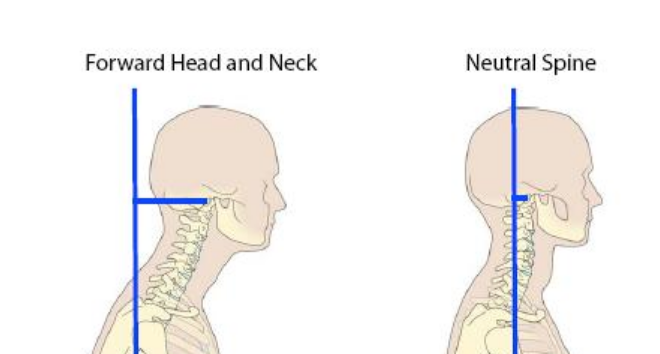 Simply put, Forward Head Posture is one example of bad posture. And it’s one of the most common posture problems I see. Forward Head Posture is the result of either repetitive forward head movement, or the carrying or holding of the head in a position where the ears are forward of the shoulder plum-line. In order to fix a head forward posture. you have to achieve and maintain overall proper posture. But what correct posture look like? Proper posture is when your ankles, knees, hips, shoulders and ears all fall along the same vertical line. Your head is pretty heavy. It’s supposed to rest on your neck and shoulders like a golf ball on a tee. That’s its natural position. But in people with FHP, the head moves out forward of the shoulders, with the ears in line with the chest or front of the deltoids. Over time, this forward head position can lead to a tremendous amount of neck strain as well as the list of symptoms I mentioned above. Repeated forward and/or downward-facing postures cause concurrent hypotonic (lengthening) and hypertonic (shortening) of several major muscles in different areas of our upper body(rhomboid, trapezius, pectoral, suboccipital, etc. ), degeneration of the vertebrae in the cervical spine, and irritation of cervical nerves. Pinched nerves, tightened shoulder and neck muscles, and postural imbalances all cause blood stagnation. And this leads to a toxic buildup in your system. Think of a pond in which the water isn’t moving and has become stagnant. The blockage of free-flowing water leads to stagnant water where nasty things grow. It works i much the same way in your body. 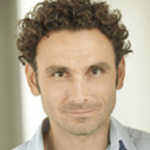 If there’s a blockage or stagnation, there’s chronic pain. When it comes to treating FHP, if you want the most pain relief possible, the goal is complete posture correction. Here are a few simple neck stretches and neck exercises to correct Forward Head Posture. And the best part is you can do them right at home. Lie face down on the floor, with your hands overlapped and held on your lower back. Lift and extend your head and shoulders up, while squeezing your shoulder blades together. Hold for three seconds, and repeat 15 times. Do this three times per day. Hold your shoulders straight in a neutral position. Stick your chin out to the front, hold for three seconds. Pull your chin in as far back as it will go, hold for three seconds. Repeat six times. Do this three times per day. Overlap your fingers and place both hands behind your head. Use your hands to push your head down so your chin goes toward your chest. Do NOT lower your head and then press with your hands, as this defeats the purpose of the stretch. Hold the stretch for 20 seconds and return to the upright position. You should feel a stretch between your shoulders. Repeat three times. Do this three times per day. Stand with both feet parallel behind (but in the center of) a doorframe. Place one arm 90-degrees along the side of the doorframe facing you. If your right arm is touching the frame, then your right foot takes a long step forward. Be sure to bend your knee, as if you were really trying to walk forward. You should feel a nice stretch across your chest. If not, turn your body to the left. Hold for 20 seconds. Repeat three times then switch sides. Do this three times per day. Make sure the top of your computer screen is level with your eyes and about two feet away from your face. Be sure to carry a backpack squarely over both shoulders to balance the weight distribution. If you carry a heavy purse or duffel bag, it is better to sling it diagonally across the torso. Have ample lower back support while sitting or lying down for prolonged periods, as a relaxed position leads to slouching and rounded shoulders, which can lead to FHP. At this point, you should have a pretty good understanding of what causes Forward Head Posture and how to prevent it. You’ve also learned some great exercises to correct Forward Head Posture. For a complete resource that will help you understand how to fully treat FHP — or any other type of pack pain you may be experiencing — check out the Lose The Back Pain System. With this cutting-edge system, you create your own Personalized Self Treatment Program – that helps target the specific type of back pain you’re experiencing right now. It’s a powerful 3-part program consisting of DVD’s… audio CD’s… and an easy-to-read reference manual. And it’s GUARANTEED. 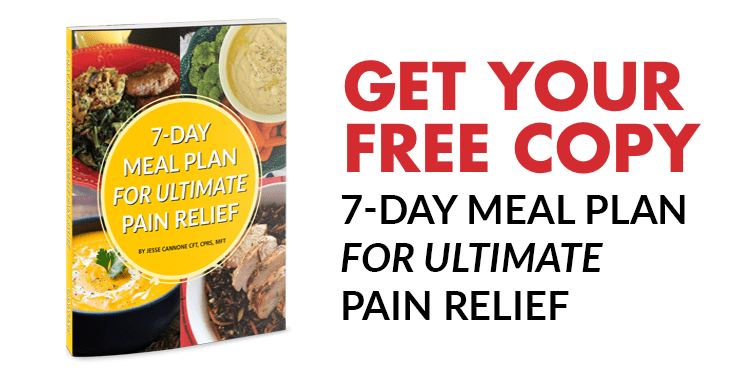 If you want to learn more about it – and eliminate your pain forever — just click this link.